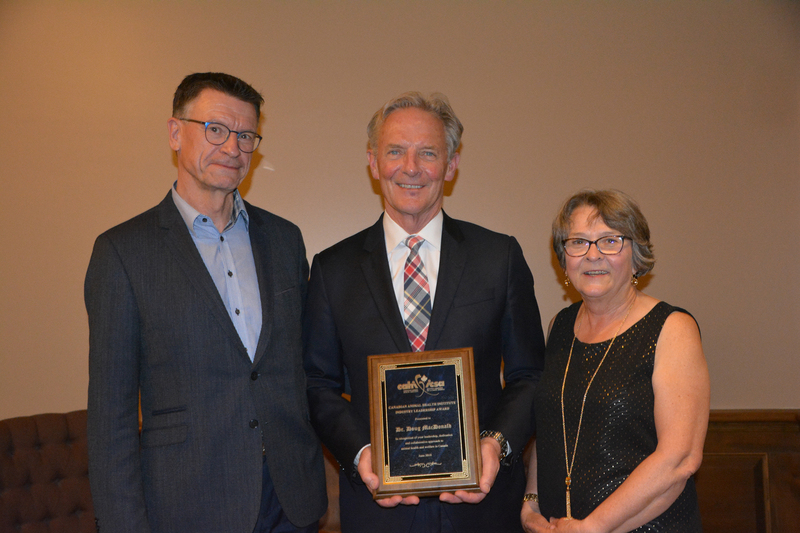 CAHI is pleased to announce Dr. Doug MacDougald, Veterinarian and Founding Partner at South West Ontario Veterinary Servicesas the 2018 recipient of our external CAHI Industry Leadership Award. Dr. MacDougald is an active member of several swine professional organizations including Swine Health Ontario, the Ontario Association of Swine Veterinarians, Western Canadian Association of Swine Veterinarians, and American Association of Swine Veterinarians. He is a leader in the swine industry when it comes to the control of economically important diseases by innovating and implementing good biosecurity practices and leading in the development of area regional control measures to reduce disease spread and enhance elimination. To learn more about this award see past winners, click here. CAHI is pleased to announce Byron Beeler, of Beeler Consulting as the 2018 recipient of the CAHI Chair’s Award which recognizes member contributions to the Canadian animal health sector. Byron has served on boards and committees of several key agricultural organizations in Canada. During his time as President of Novartis Animal Health he served as the Chair of the CAHI from 1997-1998 and later was made a Life Member of our association. He is a Life Member of the Canadian Seed Growers Association, and a Past President of the Royal Agricultural Winter Fair. He was named a Distinguished Agrologist by the Ontario Institute of Agrologists, made a Fellow of the Agricultural Institute of Canada and inducted into the Canadian Agricultural Hall of Fame. Currently, a volunteer basis, Byron is a mentor to start-up companies within the Prince Edward Island BioAlliance’s biotech mentorship program. Our Industry Leadership Award is an external award that recognizes and honours outstanding accomplishments by individuals or organizations that have significantly contributed to the field of Canadian animal health. 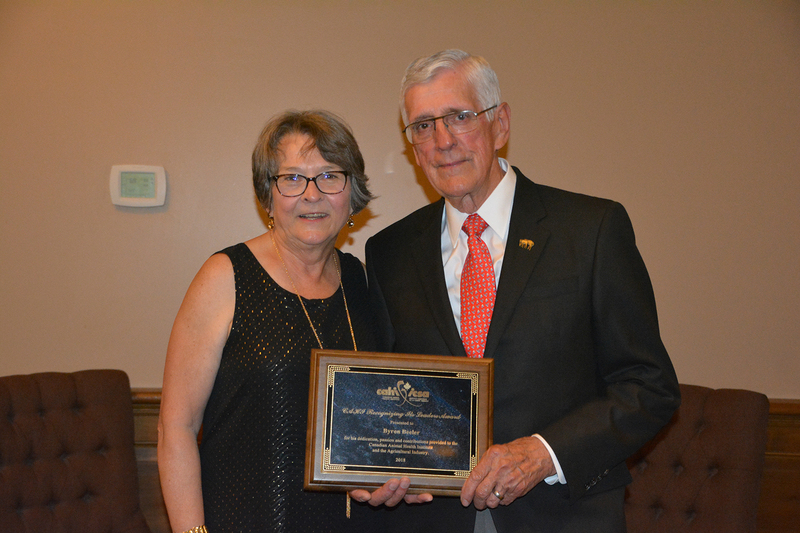 CAHI’s “Recognizing its Leaders Award” was created to recognize the significant contributions made by its individual members. The award is presented to an individual who has made exemplary contributions to the CAHI and our objectives.